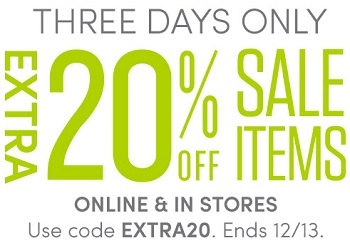 Extra savings now available at Athleta stores in the U.S. Take an extra 20% off all sale items. Offer is also available online on the official website. To receive the offer use promo code EXTRA20. Offer expires 12/13/2015. For more details visit your nearest retailer or official website.